MoviePoet.com is proud to announce the winners of their September 2014 short script competition. – Impending physical destruction, cosmic radiation wiping out all life, a virus that kills everything, doesn’t matter… it’s the end of the world and your story revolves around that. A man suffering from imminent zombie-hood gives his 8-year old daughter survival advice. A homeless man must finish one last task before the end of the world. A gardener faces the end of the word with those he has helped. 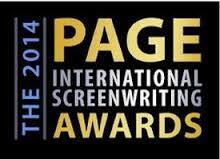 Congratulations to Matias Caruso (Mr. Z) 2014 PAGE Awards Grand Prize Winner for his script Three of Swords. Three of Swords started out as short about a tarot reading that exposes an undercover FBI agent who must escape a traveling carnival full of criminal freaks. Needless to say, it grew into something. Congratulate Matias and talk about it on the Discussion Board. MoviePoet.com is proud to announce the winners of their May 2014 short script competition. The theme was “War is Hell” – Tell us a story of war. Two enemy soldiers meet in a forest and have to come to terms with their situation. On D-Day, an American private storms the beaches of Normandy bearing a premonition of death. Two soldiers, from their hiding place in a Little League dugout, discuss the meaning of war, and the continuity of their way of life. All submissions received by June 15th will receive their written analysi by July 1st.